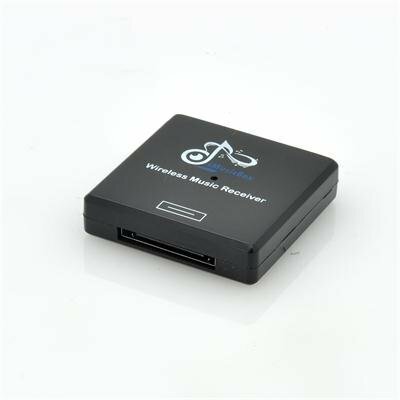 Successfully Added Bluetooth Music Receiver for iPod/iPhone Sound Dock and Home Stereo to your Shopping Cart. 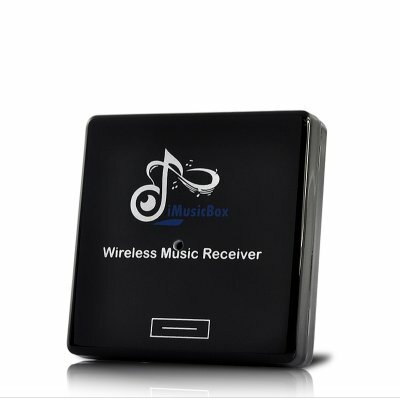 This Bluetooth Music Receiver connects to your iPod/iPhone sound dock directly, or to your home stereo system with the included audio adapter, and plays music from your iPod, iPhone, HTC, Samsung, Motorola, or any device with Bluetooth A2DP function. It’s the best way to enjoy music from your portable electronics. And here’s something totally cool. Playing games on your iPod Touch, or Smartphone, while with the music receiver, every bit of the sensational sound is broadcast through your high power home stereo. With an effective range of up to 5 meters, it enables you to walk around with the iPod (or any other Bluetooth A2DP enabled device) in your room, while still playing the sound clearly. This cool gadget is now in stock for immediate shipment, and it’s offered at a wholesale unbeatable price. Brought to you by the leader in latest cool gadgets, Chinavasion. Compatibility: used with your iPod/iPhone dock, or your home stereo through the included Audio adapter, and wirelessly plays music/sound from your iPod, iPhone, HTC, Samsung, Motorola, or any device with Bluetooth A2DP function. Bluetooth Profile: A2DP. Advanced Audio Distribution Profile, which is designed to stream high quality audio from one device to another over a Bluetooth connection. "Apple", "iPhone" and "iPod" are trademarks of Apple Inc., registered in the U.S. and other countries.